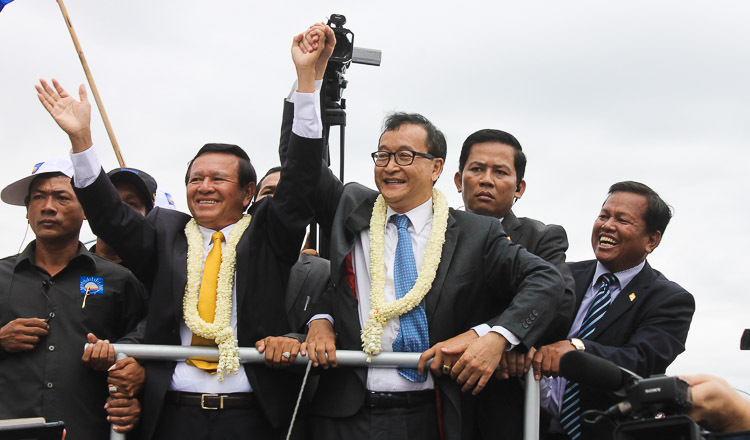 Former opposition party leader Sam Rainsy yesterday wished democracy, freedom and justice for his countrymen in a Khmer New Year message, while the ruling CPP claimed Mr Rainsy’s influence in the country was waning. “For our Cambodia, I wish for all sacred things – I and all strugglers in the Cambodia National Rescue Party and Cambodia National Rescue Movement are trying our best to ensure that the Khmer people can see the light of genuine democracy, freedom and justice in the New Year,” he said on Facebook yesterday. “May the current fake electoral process become a real one someday so that Khmer people have the chance to express their will, which all politicians have to respect,” he added. 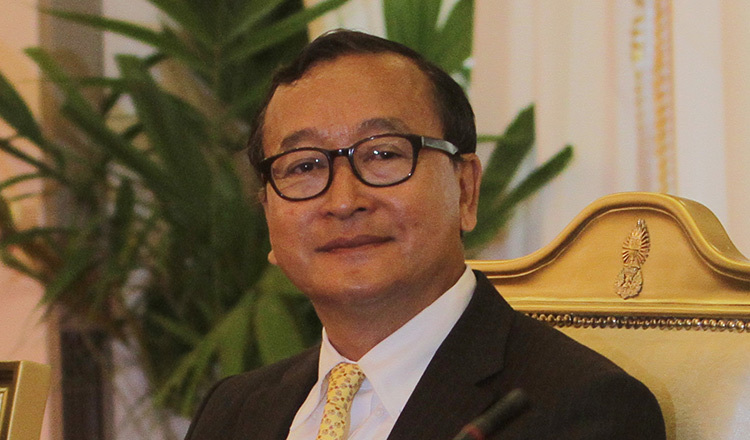 Mr Rainsy, who lives in exile in France, last weekend called on Cambodians to boycott the upcoming election in July, saying it was not transparent. Sok Eysan, spokesman for the ruling CPP, said Cambodian people have lost trust in Mr Rainsy since he called for an election boycott. “What Mr Sam Rainsy says does not reflect the real situation because Khmer people are very happy and eager to vote in the upcoming election on July 29,” Mr Eysan said. Mr Eysan said that some of the 40 percent of people who voted for the former opposition party no longer believe in Mr Rainsy and would vote for the CPP. “It is not effective at all because the people no longer believe in those who destroy the nation,” he said. Following the dissolution of the CNRP by the Supreme Court in November, some political parties and NGOs that observed past elections seem reluctant to participate in the electoral process and are waiting to see how the situation unfolds. Korn Savang, coordinator for election watchdog Comfrel, said that Comfrel has not yet decided whether it would monitor the election.